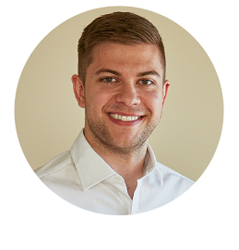 Fizz began as a single company, Fizz-Yearbooks, in 2007. Today, Fizz Group is the UK’s leading supplier of school memorabilia. The group is made up of four companies, Fizz Yearbooks, Fizz Hoodies, Fizz Portraits and Fizz Yearbooks USA. Forging links with providers in both the UK and overseas in order to source quality materials and deliver key outcomes, Fizz Group now manages a global supply chain and generates millions of pounds in revenue per year. Schools across the UK have come to know and trust the Fizz name, recognised nationally as leaders in their field, with unrivalled quality and service, and for the delivery of stress free solutions to the UK education sector. The leading supplier of leavers’ Yearbooks, producing bespoke publications for educational establishments across the United Kingdom and Europe. Producing high quality, WRAP certified clothing for schools across Great Britain. Fizz Hoodies offers the most choice, and the simplest order process available on the market today. Providing specialist image capturing services to Primary and Secondary schools nationwide, using some of the most advanced data management and distribution systems available to the public. Publishing bespoke Elementary, Middle and High School Yearbooks across the USA. Designed in the UK and printed in North America. I am proud of the company we have built today, and of our reputation as the most cost effective, reliable and quality driven provider supplying services to the International and UK schools market. A customer focused approach, strong leadership and fastidious attention to detail in every aspect of the business has resulted in at least 100% growth year on year, and long standing relationships with schools in the UK and beyond. I am excited for what the future holds for Fizz. We continue to expand our core businesses in the United Kingdom, most recently launching Fizz-Portraits, a specialist school photography company, simplifying the usually stressful exercise with cutting edge technology and 21st Century working practices. This, alongside global expansion into the USA: the ‘spiritual’ home of the school Yearbook. 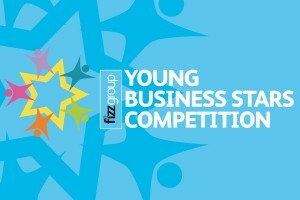 Having strong links with the education sector and a genuine passion for inspiring and delighting young people, Fizz Group have launched the Young Business Stars Competition as part of an ongoing corporate social responsibility programme. The competition invites students at participating schools to put forward a business idea in teams, explaining the background of the idea, and how it could be successful. The winning team receives £5,000. Fizz Group is the UK’s leading supplier of school memorabilia. The group is made up of four companies; Fizz Yearbooks, Fizz Hoodies, Fizz Portraits and Fizz Yearbooks USA. All images used for preview are copyrighted by their respective owner.